From idyllic lakeside resorts to beautiful historic market towns, there are many fantastic day trips tourists can take from Innsbruck to enjoy activities and experiences of all sorts and all just a short drive away from the city. Here are some of the best trips to take. This bizarre and intriguing site located a short distance from the city centre is an underground lair containing all things that shimmer and shine. The Innsbruck Swarovski Crystal World is both a museum and shop that was created in 1995 to celebrate the 100th anniversary of the Austrian-based company. Unusual on the inside and out, the glittering eyes of the giant glare out from the greenery and the underground chambers are a treasure chest of splendor. Kufstein is a medieval town located between Innsbruck and Salzburg with a fascinating history. The Kufstein Fortress is the most dominating and popular landmark—perched on top of a hill and surrounded by forests and meadows. 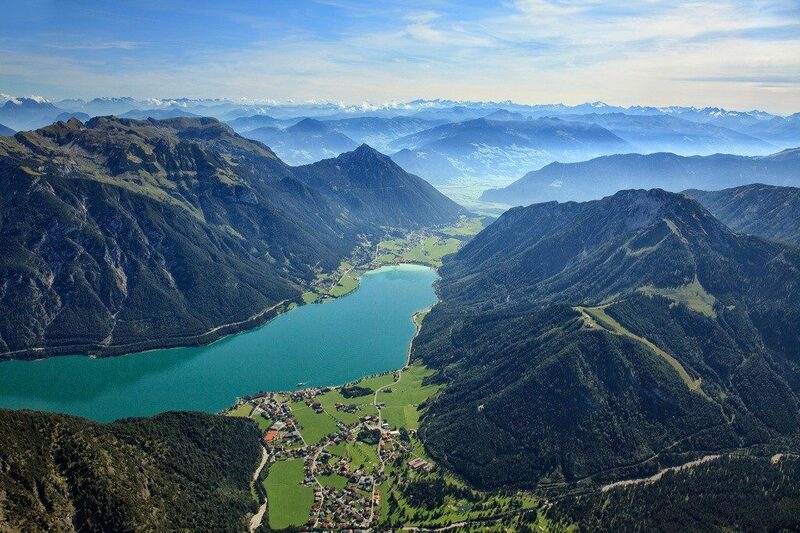 The town area also contains several small lakes that are worth a visit, such as Pfrillsee, Längsee, and Hechtsee, Egelsee, and Maistaller Lacke. Crystal-clear waters and no sign of modern life for miles on end, Lanser See, located on a sunny plateau just a stone throw away from the city centre, is a haven of peace and tranquility. A locals’ favorite destination for weekend getaways, there are two naturist areas (including one specifically for women) for those who are inclined as well as a great expanse of lush areas perfect for sun bathers in the summer months. The water is perfect for taking a dip, and it attracts throngs of water-sports enthusiasts. This gorgeous countryside resort in Mittelgebirge is hugely popular with campers. One of the highlights of the area is the bathing lake, equipped with water sports facilities such as a water trampoline, a 60-meter (196.85-foot) water slide, and surf boards. Hall is Tyrol’s largest historic town and one of Austria’s most beautiful. A blend between antiquated architecture and a lively modern culture, it is a hidden treasure that has much to offer visitors. Numerous events take place throughout the year including Christmas markets, the Tyrolean Easter Festival, the Sprachsalz Literary Festival, and many music festivals. Known to locals as the ‘fjords of the Alps’ or the ‘Tyrolean Sea’, this gigantic lake is the perfect location for a day trip. A swimmer’s paradise, the lake is well known for its exquisite water quality, something clear from its glittering emerald appearance. 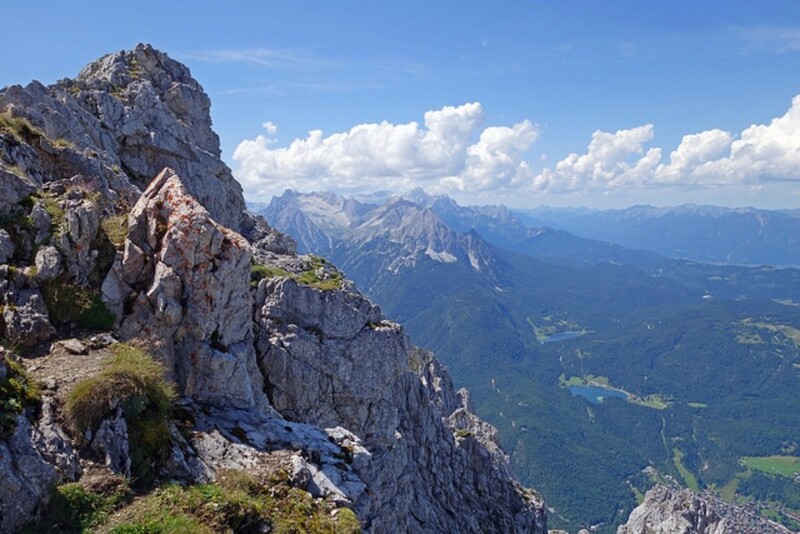 Located in the heart of the Karwendel Mountain Chain, there are several activities to try such as hiking and water sports. Pop over the border to Bavaria to visit this charming Alpine village. Attractive architecture is one of the highlights and many of the houses are adorned with painted murals. 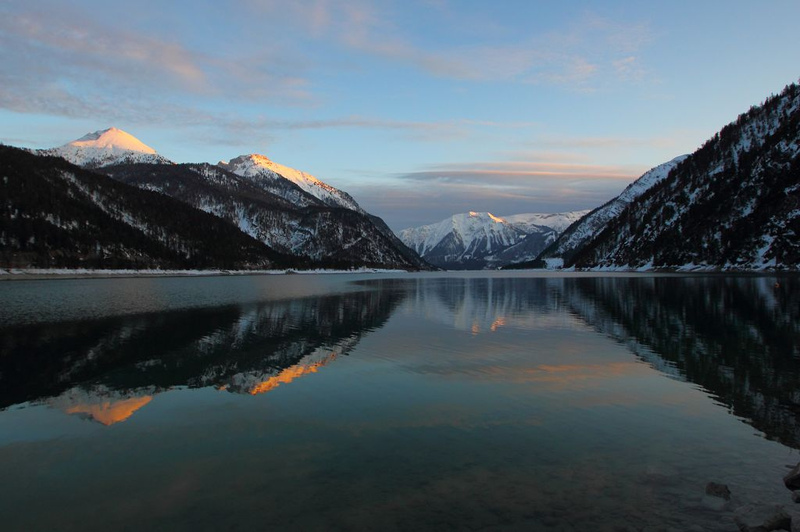 The Ferchensee, located just outside the town, is a serene and picturesque lake that is perfect to visit when the sun is shining.